Lying by Sam Harris on Audible: www.audible.com/pd/Nonfiction/Lying-Audiobook/B00FK6F02C?source_code=SCLGB9079WS100213 Summary: As it was in Anna Karenina, Madame Bovary, and Othello, so it is in life. Most forms of private vice and public evil are kindled and sustained by lies. Acts of adultery and other personal betrayals, financial fraud, government corruption - even murder and genocide - generally require an additional moral defect: a willingness to lie. 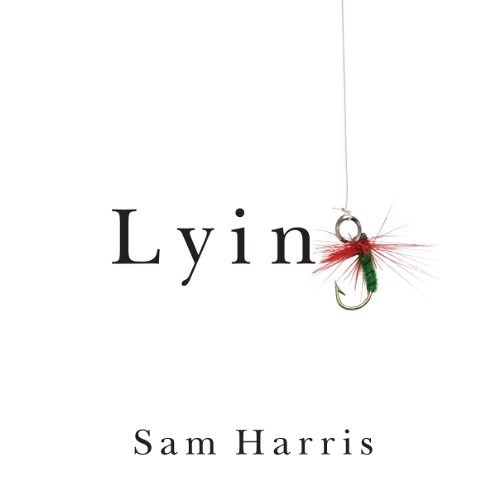 In Lying, bestselling author and neuroscientist Sam Harris argues that we can radically simplify our lives and improve society by merely telling the truth in situations where others often lie. He focuses on "white" lies - those lies we tell for the purpose of sparing people discomfort - for these are the lies that most often tempt us. And they tend to be the only lies that good people tell while imagining that they are being good in the process. Successfully blown my mind with how well you articulated the consequences of lying. A terrific book on an important topic that is rarely discussed and even more rarely discussed well. Personally lying is not an ethical issue at all. I have frequently lied successfully, but have given it up for the simple reason that lying creates an internal dissonance that impedes the general good feeling of the day. Better then "morality and the Christian god" there are more pauses, but still not as much emotion as the excerpt from your debate, (again, also visible in the voice visualisation.) anyway sorry to be so critical, love your work, I'm a big fan, can't wait for your new book.